Battlefield 1 will make your jaw drop. Battlefield 1 is stunning. Historically accurate? Well, about as much as Michael Bay’s Pearl Harbor maybe. Gritty? Not especially. This is not Verdun, nor is it Valiant Hearts. But damn, there’s just something about seeing a biplane crash into the ruins of an old church, or bursts of smoke pop in the air from a flak cannon, or a tank rumble across the top of the trench you’re lying in. All is not quiet on the Western Front. I got played Battlefield 1 for about 15 minutes after EA’s press conference yesterday. It’s pretty much what I expected, which is to say: 1) It’s basically your standard Battlefield game with a World War I skin on top, and 2) It’s insane. 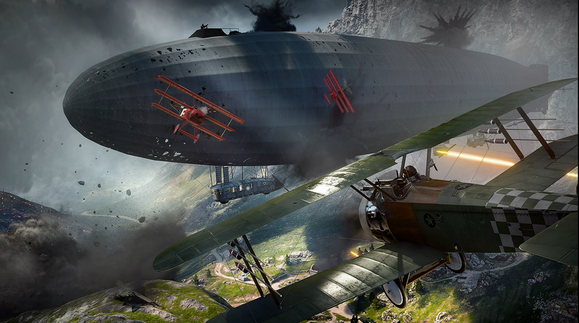 I was admittedly skeptical about how Battlefield would translate to the Great War. Verdun already did a great job capturing the horror of the setting, and is as close to a historically faithful recreation of the conflict as I think we’re liable to achieve for now, with a particularly ingenious take on trench warfare that sees each side taking turns to try and capture the other team’s lines. 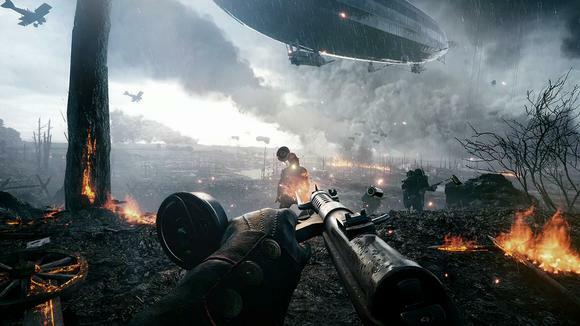 Battlefield 1? Ha, yeah, none of that. It’s chaos. Pure Battlefield chaos. We played a standard Conquest round with capture points A – F. As you can guess, that means there's no “stop and pop” trench warfare play, meticulously sprinting from foxhole to foxhole and navigating a labyrinth of barbed wire. Nope. “Boring,” says Battlefield. This is straight-up Conquest, the way you’ve always played it. Sprint to the objective and hope you don’t get gunned down along the way. The hardest part is keeping track of the enemy’s position, with the front lines constantly shifting and switching sides. Oh, and trying not to laugh when the announcer says you’ve conquered “Objective Apples.” Thanks, 1914-era Royal Navy military alphabet. But it’s Conquest in World War I. That means bayonets and bolt-action rifles and chunk-chunk-chunk early-model machine guns. If there’s anything gritty about Battlefield 1, it’s the melee takedowns. Stabbing a soldier with a bayonet is quite a bit more intense than Modern Warfare’s knifing ever seemed. This is also the part where I mention how fantastic DICE’s audio work is, as always. These guns may be old and slow, but they sound suitably deadly. One of the things I’ve missed about World War II shooters is how heavy and mechanical the weapons always sounded—the ping of the M1 Garand, for instance. World War I guns are that, but even slower and more methodical. It's much safer to get in a vehicle, if you can find one. That means armored cars and silly-looking tank designs and horses (though those unfortunately weren’t in our demo). Or in the skies it means biplanes and biplanes and...more biplanes. It’s terrifying when that hulking behemoth shows up. Airships are so quiet, and then suddenly you look up and there’s this fortress literally taking up a quarter of the sky and raining hellfire down upon you. The airship is basically the Mario Kart blue shell, appearing only to help out the losing team, at least in Conquest mode, though I wouldn’t be surprised if we get a take on Battlefield 2142’s Titan Mode featuring dueling airships. Regardless, its stealthy arrival was easily one of the highlights of my brief demo, and I’m hoping that feeling doesn’t pale once I’ve seen it in two-dozen matches. And even though this was pre-alpha gameplay, the graphics are already pretty much on par with Star Wars Battlefront, except now rendering out muddied trenches and crumbling buildings instead of alien vistas. In a word: Gorgeous. Or at least gorgeous insofar as it looks incredibly realistic, though I’d typically be hard-pressed to describe mud in such lofty terms. I’ve been converted. 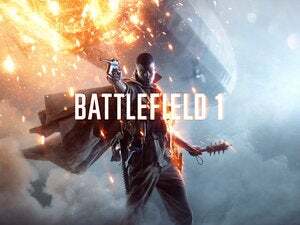 I really didn’t know what to make of Battlefield 1’s announcement, and the history major in me balked at DICE turning World War I into World War Fun. Not really for any moral reasons. I just didn’t think it would work. I was wrong. 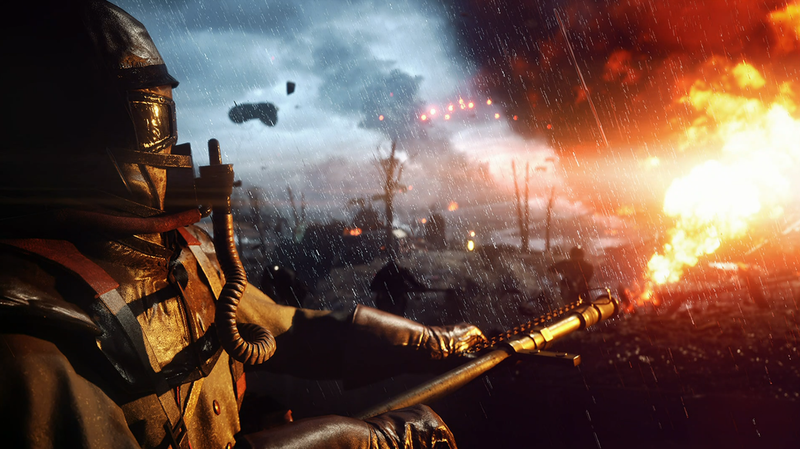 Not only is there room for both a Verdun and a Battlefield to coexist—like Arma III and Battlefield 4, they don’t really play to the same crowd whatsoever—but Battlefield 1 is fit to make your jaw drop. Look for it to release in November, though I expect we’ll have at least one beta/demo period before then. 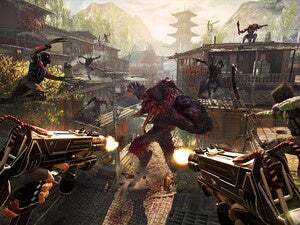 And if this all seems a bit too historical for you, you could always opt for Titanfall 2’s grappling-hook-and-mechs action instead.